Aanderaa's roots were formed in the need to make reliable measurements in the earth's most harsh environments. 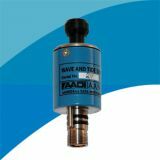 Founded in the early 1960s by Ivar Aanderaa, the Aanderaa name quickly became synonymous for robust and reliable instrument solutions for oceanographic and other environmental measurements. Now as part of Xylem, Inc., the Aanderaa reputation for data quality, reliability, and excellent customer support continues to serve the global need to have better, smarter, and more robust sensor and systems solutions. ​Aanderaa manufactures sensors, instruments and systems for measuring and monitoring in markets including aquaculture, environmental research, marine transportation, oil and gas, road and traffic and construction. 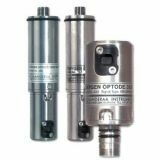 SeaGuard CTD Recorders may be used as a multi-parameter instrument in the sea and in freshwater and feature a modular plug-and-play architecture. Long term monitoring of sea and inland water using the latest technology for measurement. 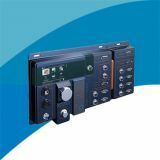 The single-point SEAGUARD® RCM series is a completely new generation of current meters based on the SEAGUARD® datalogger platform and the ZPulse® multi-frequency Doppler Current Sensor (DCS). SEAGUARD® Products are based on modern technology and are the basic modules of our underwater observatory. 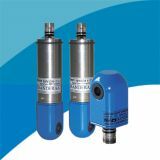 They may be used as a multi-parameter instrument in the sea and in freshwater and feature a modular plug-and-play architecture. The brand new acoustic profiler joining the SeaGuard family. It features innovative development of the acoustic profiling capacity and an exceptional ability to collect high quality current information on moving and tilting moorings. Available as a self-recording instrument, it also integrates unique real time features to meet your application needs. Conductivity sensors from Aanderaa are compact, fully integrated sensors for measuring the electrical conductivity of seawater. Conductivity is a key parameter for in-situ measurements of several fundamental physical properties of seawater. 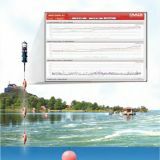 Aanderaa Wave and Tide Sensors are compact fully integrated sensor for measuring the wave and tide conditions designed to be mounted on the Aanderaa multiparameter SeaGuard Platform or via cable connected to SmartGuard datalogger. The Aanderaa SEAGUARD® String System is a complete and flexible subsea observatory, for measurements of e.g. dissolved oxygen, conductivity, temperature, current, pressure and tide. 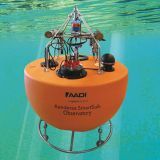 The AADI Oxygen optode was the first and only to measure dissolved oxygen for years without drift - now it is one of the fastest! 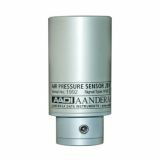 Aanderaa pressure sensors are compact, intelligent pressure sensors designed for use on Aanderaa Data Instruments dataloggers as well as in other measuring systems. SmartGuard is the next generation sensor and instrument HUB for Ocean, Lake, Reservoir, Estuary and River Hydrometric stations. It's a complete observatory node for advanced Hydrologic/Meteorological stations as well as for small stand alone stations. Smart Sub Observatory is a flexible platform enabling tailor-made solutions, both with sensors from Aanderaa and other suppliers. They can be used off-the-shelf or customized to better cover application requirements. 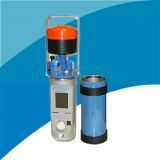 Automatic Weather Station AWS 2700 is a rugged self-contained station suited for use in remote places without electricity supply. Data can be recorded on site or be transmitted in real-time. 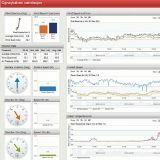 Web based display solution for environmental data display. Aanderaa GeoView is part of the Aanderaa Real-Time Solution. This gives the user vast opportunities for interfacing meteorological, oceanographpic, or other environmental research equipment in a networked solution giving access to data real-time. This measurement is known to have a good correlation to the amount of suspended matter in water and can be used to monitor e.g. sediment, algae or particle pollution. 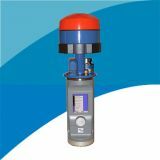 The sensor generates an output voltage proportional to the turbidity or suspended solids. The low power consumption makes it ideal for applications where battery drain is a concern. 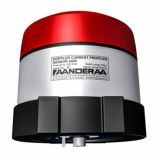 The Aanderaa Doppler Current Sensor (DCS) is a rugged, true vector averaging sensor for measuring current speed and direction in the sea. The sensor has built-in compass and tilt sensor and may also output sea temperature. The sensor shows outstanding performance as it has practically no hysteresis, no temperature drift and no ageing. 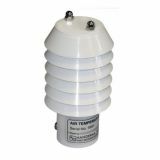 The sensor has many applications both indoors and outdoors and it is one of several atmospheric sensors made by Aanderaa Data Instruments. Visibility in the atmosphere is of great interest for road and sea traffic and in aviation. 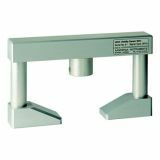 The MIRA Visibility Sensor 3544 is designed to fulfill the demand for a small, low power unit to be operated with Aanderaa Measuring Stations. Visibility is often limited by fog and haze and the sensor is designed to detect these factors. Designed to be used with Aanderaa Sensor Scanning Units, Data loggers or display units. A sensor for measuring average wind direction in a sampling interval. It is designed to be used with Aanderaa Sensor Scanning Units, Data loggers or display units. 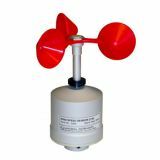 A sensor for measuring the average and maximum wind speed (gust) during the sampling interval. The sensor is designed for use with Aanderaa Dataloggers 3634/3660 and the Aanderaa Automatic Weather Station 2700. A unique way of measuring waves from buoys. 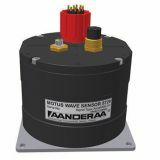 The Aanderaa MOTUS Wave Sensor 5729 is a directional wave sensor module for use on surface buoys. 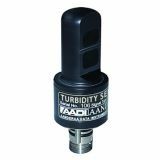 The MOTUS Wave Sensor is an integrated part of Tideland SB 138P MOTUS Buoy and YSI EMM 2.0 MOTUS Buoy. It is intended for commercial as well as research use. The sensor processes wave data and is configurable to present parameters and wave spectrum directly. 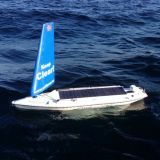 By utilizing the power of the Aanderaa Smart Sensor Suite and the wind and solar driven "Sailbuoy" from Offshore Sensing, a new cost-efficient easily handled autonomous platform has been developed. 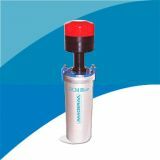 The Sail buoy Water Quality Monitor (WQM) is designed for easy handling during shipment, deployment, data collection and recovery. 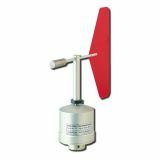 The Sailbuoy WQM has been extensively field-tested and demonstrated excellent long-term monitoring. A new, self-recording current meter with Bluetooth for communications and data retrieval. 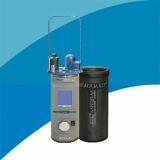 The RCM Blue is a self-recording Current Meter which measures water temperature in salt or fresh water, and a battery container with battery capacity up to 70Ah. The Doppler Current Sensor is an upgraded version of the proven SeaGuard ZPulse sensor. The instrument configuration and data retrieval is done via Bluetooth which eliminates the need to open the pressure case for repeated deployments. A rugged, true vector-averaging sensor for measuring current speed and direction in the sea. 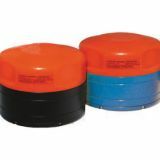 The ZPulse Doppler Current Sensor (DCS) is a singlepoint current sensor primarily intended to be used with the Aanderaa SeaGuard platform to form a Recording Current Meter (RCM).